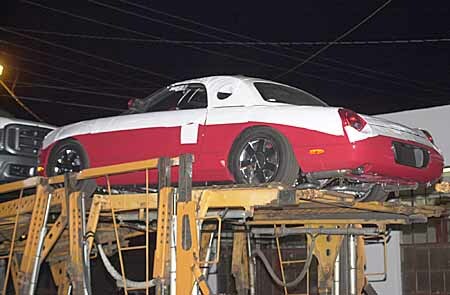 Once a car has reached the destination railyard, it's unloaded and parked to wait for a car hauler to transport to dealership. 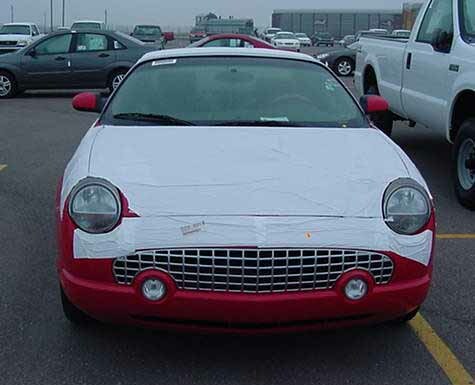 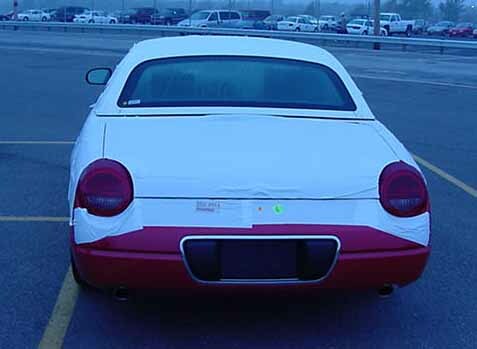 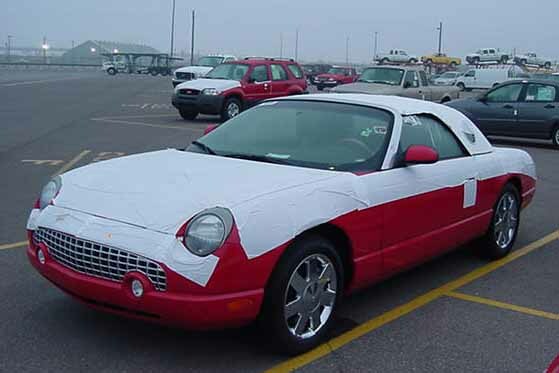 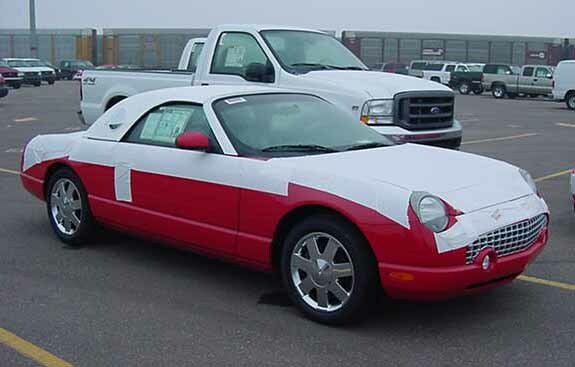 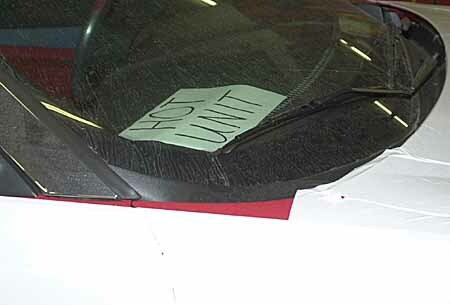 The white tape was placed on the car at the Wixom factory to help protect the paint during transit. 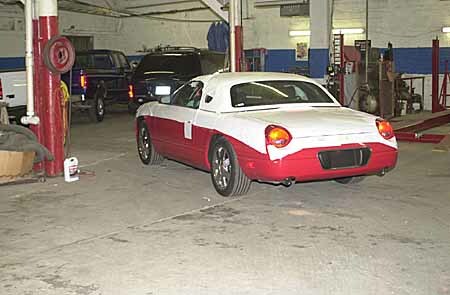 Once it has reached the dealership, it's time for prep for either the showroom or the buyer. 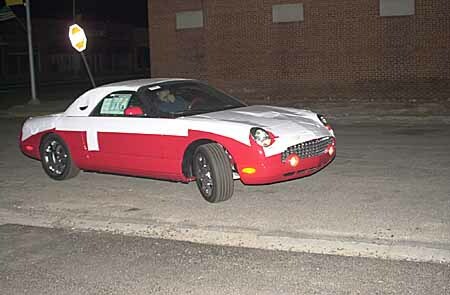 Both owner and photograher of the following car are 2002 owners and still active participants on the www.thunderbirdnest.com forums. 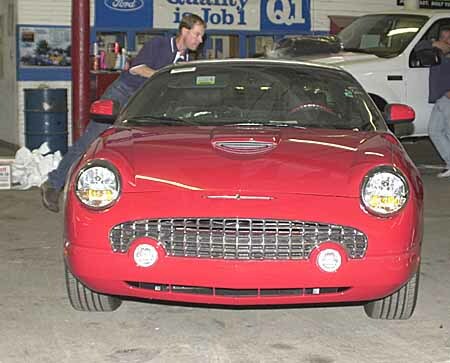 Photos by Lon O'Connell of Bill's car at the rail head in Amarillo. 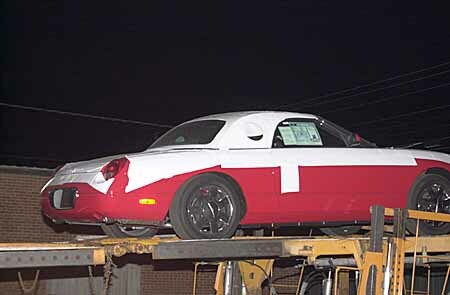 This is what your car looks like during shipping.